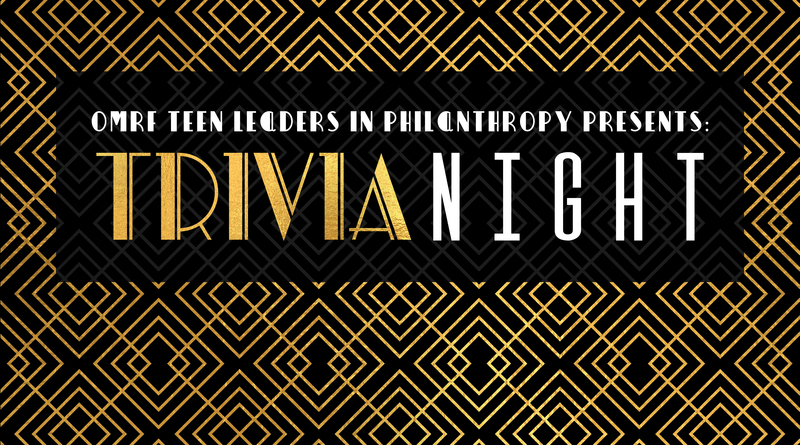 Please join us for this year’s Teen Leaders in Philanthropy Trivia Night! This project is planned entirely by the 2018-2019 Teen Leaders class and will support biomedical research at OMRF. Trivia Night will take place on Saturday, April 6, at the OMRF Research Tower in the Gaylord Pavilion (see map for directions). Team check-in, buffet dinner and cocktails start at 6 pm. Questions kick off at 6:45. The Rules: As the questions are asked, the team must decide the best answer, write it down and spell it correctly. At the end of the evening, the team with the most correct answers wins. Reservations are accepted on a first-paid, first-received basis. Space is limited! Please reserve your table early.